Getting a new TV or appliance is exciting. However, that excitement can be dulled by the annoyance of figuring out how to dispose of old electronics, and the resulting dust that they gather from sitting in the corner of your apartment or home for months. There are certain laws and guidelines regarding the disposal of electronics, and for good reason. Computers, washing machines, and microwaves are constructed from hundreds of tiny pieces. Even something as small as a cell phone can contain nearly a thousand components. Inside those components are toxic substances like lead, mercury, and flame retardant – not exactly chemicals that you want floating around in your community. 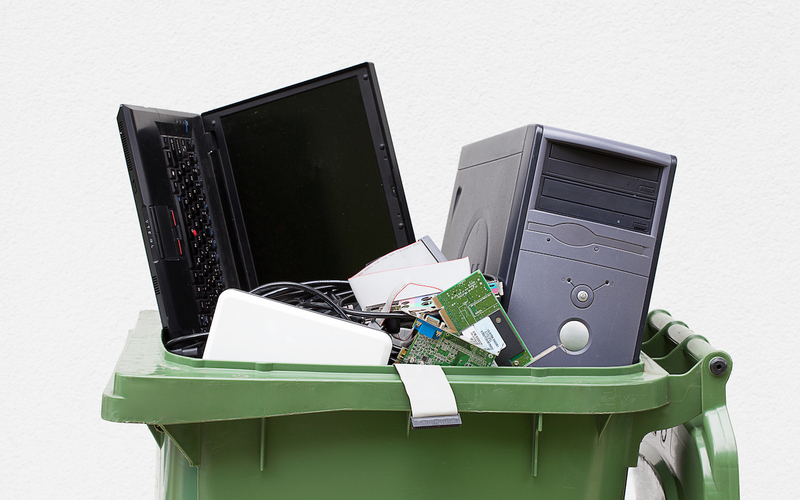 Thankfully, there are easy and environmentally-safe ways to dispose of old electronics. 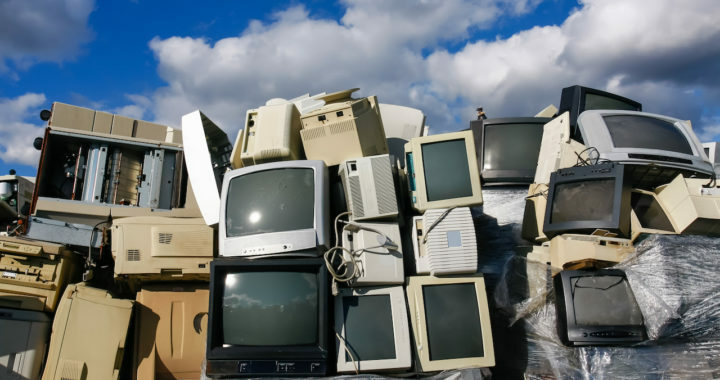 In addition to specialized waste centers, communities often hold “e-waste disposal days,” where you can load your car up with all the electronic waste in your home and drop it off to be disposed of properly. These events typically cost you nothing except for a couple of hours of your time and maybe some physical labor. If you’re thinking that you’d rather just dispose of old electronics yourself, hoping to save a few bucks, think again. At West Coast Junk’s affordable prices means that the money you’re “saving” simply isn’t worth the effort. One quick call to our offices means that your electronics are out the door and safely disposed of as early as tomorrow. No long drives to the recycling center or waiting months for an event near you. No sore backs or injuries from carrying heavy equipment. 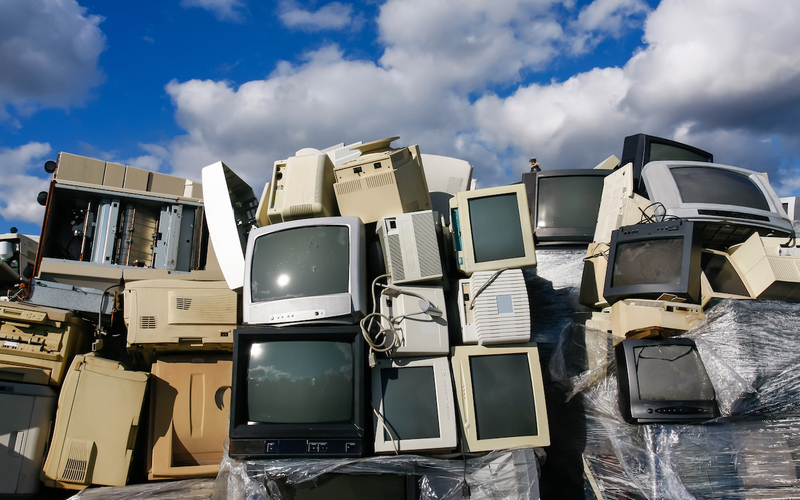 As the number of electronics continues to skyrocket, so the number of electronic waste centers has also increased. These facilities, either public and maintained by the local government or privately owned and operated, can be found scattered around most cities. However, because this type of disposal requires a decent amount of space, the nearest center to you may still be a trek. Alternatively, with a little extra searching, you may be able to find a local school or organization that hosts monthly or annual events. The upside to this is that you can save time from having to drive to a far facility, but if the event is still months away, that means months of your electronics sitting in your home. One of the best ways to dispose of old electronics is to not dispose of it at all. Although it may have been time for an upgrade for you, it’s very possible that your old electronics would be an upgrade for somebody else. If the item still works properly and is in mostly-good shape, consider finding a donation center that can help get your old items to somebody who could still use it. It’s easy to forget how much of our personal information we input into our devices. When it comes time to dispose of old electronics many people forget that names, addresses, even social security numbers or credit card information can be found on their computers or mobile devices. Carefully take some time to go through any electronic devices that may have personal data and ensure that everything is completely deleted off of your system. This may be difficult to do, especially if the item is an old computer that has already been replaced or isn’t working properly, but it can still be done. If you’re looking to get some stress out, this can be a great way to do it! Find the hard drive in your computer or laptop (there are plenty of videos online that show you how to easily do this), grab a hammer, and carefully smash that piece to bits. This will ensure that the most sensitive information doesn’t fall into the wrong hands. It’s important to note, however, that the only thing that should be destroyed is the hard drive. The rest of the equipment will be disposed of properly. Once you have an event or disposal center in mind and have wiped your data from the appliances, it’s time to get moving. Carefully load any electronics into your car or van and drive them to the drop-off center. Washing machines, dishwashers, and other bulky or heavy items can be very dangerous to move. Use extreme caution and when in doubt, hire professionals. The good news is that most of the time, employees or volunteers will be waiting to help unload your items from your car for you, which means one less step. Once your old electronics are safely and properly disposed of, it’s time for you to go home and truly enjoy your new items and your new extra space! Prefer the easy way? We don’t blame you. Call West Coast Junk today at (925) 785-6726 and we’ll be happy to dispose of old electronics for you.